D.L. Walker was born in Utah, and raised everywhere else. Being the middle child of 14 children helped him learn to project, emote, and entertain. He began doing character voices and accents to keep his younger siblings entertained when the TV was broken, and has never stopped. D.L. has been acting semi-professionally for 20 years in many different venues. Although film has become an additional venue for sharing his craft, it’s the community, regional, and dinner theatre experiences that have helped shape him as an artist. Favorite roles include Beadle Bamford in "Sweeney Todd", Barney Cashman in “Last of the Redhot Lovers”, Dr Chausible in “The Importance of Being Earnest”, Mellersh Wilkins in Elizabeth Hansen’s “Enchanted April – The Musical” and George Fredrick Handel in Tim Slover’s “Joyful Noise” DL is also an accomplished voiceover artist with many different voice-over projects under his belt, including over 45 audio book performances. D.L., soon to be empty nester, is a proud father of 3 and currently lives in Utah with his youngest daughter. When stage, film or VO work is not available, D.L. falls back on videography/editing, radio, and multimedia production. As the youngest contestant, Diana Walker was awarded second prize in the International American Music Competition at Carnegie Hall, signaling the arrival of an important young artist. On that occasion the New York Times wrote: "Miss Walker had the most impressive voice — a strong, beautiful soprano with a gleaming accuracy everywhere in its range." Since then, Miss Walker has distinguished herself in a variety of roles with many opera companies. At New York City Opera she has performed many roles, including her debut at age 25 as Leila in LES PERCHEURS DE PERLES; Gilda in RIGOLETTO, Adele in DIE FLEDERMAUS, Micaela in CARMEN, Barbara in Argento’s CASANOVA, Marsinah in KISMET, and sang and danced as Ninette in L’AMOUR DES TROIS ORANGES. With Seattle Opera she was hailed for her performances of the title roles in THE BALLAD OF BABY DOE and LUCIA DI LAMMERMOOR. Other favorite performances include Kathie in THE STUDENT PRINCE with Baltimore Operetta Renaissance, Natalie in THE MERRY WIDOW with Chattanooga Opera, and Laetitia in THE OLD MAID AND THE THIEF with St. Louis Opera. As well as giving concerts, she has performed with the Opera Companies of her two home towns: In Kansas City she impressed audiences and composers alike with her portrayals of Abigail in Robert Ward’s THE CRUCIBLE, and again in the extremely demanding singing/dancing role of Ariel in Lee Hoiby’s THE TEMPEST; in Utah she debuted as the Queen of the Night, in DIE ZAUBERFLOTE. Miss Walker made her European opera debut in DIE ENTFUHRUNG AUS DEM SERAIL with L’Opera de Nice, France. She performed with Maestro Stephen Simon and the Handel Festival Society at Kennedy Center in JOSHUA and RINALDO as Soprano Soloist/Angel. Her first MAHLER 4th was with the Roanoke Symphony, and she has sung numerous performances of Carl Orff’s CARMINA BURANA, and Handel’s MESSIAH. Composer David Del Tredici recommended her to the National Ballet of Canada for the 1986 World Premiere of Glen Tetley’s new ballet "Alice", which is choreographed to his Pulitzer Prize winning score "In Memory of a Summer Day". This highly acclaimed ballet featuring the sweet, clear voice of Miss Walker has now been performed in Toronto, Chicago, Washington D.C., Florida and the West Coast, at the Metropolitan Opera House in New York and at the Coliseum in London, England. Miss Walker was presented in a Town Hall recital in New York (Winners Circle Series), and has appeared in Concert at Carnegie Hall and Carnegie Recital Hall. She has sung semi-staged concert performances of THE IMPRESSARIO with the Brooklyn Philharmonic and the Miami Chamber Symphony. Sh has also appeared in concert at the Metropolitan Opera House in New York, the Kennedy Center in Washington, DC, as well as, the National Coliseum in London, England, the Bass Hall in Ft Worth, and many more.. At the International Art Song Festival, (at Petit Jean, Arkansas) she gave a joint recital with Ned Rorem. A specialist in contemporary music, she has appeared with several new music groups, including the 20th Century Consort of Washington, D.C. the "Meet the Moderns" series in New York, with Lucas Foss. She has given a number of recital/masterclasses at Universities and special events, including the Universities of Massachusetts-Amherst , Hawaii, Utah and Brigham Young University, and the National Conference of The Association of Christian and Jews. Composer/Conductor Victoria Bond wrote the soprano role in her new opera GULLIVER’S TRAVELS for Miss Walker, which was premiered in May 1995. Also recognizing the unique gifts of this special artist, Alan Stone mounted LAKME for her (Chicago Opera Theatre), and she won the hearts of critics and audience alike. Recommended by Matthew Epstein to Garth Drabinsky (Tony award winning producer/president of Live Entertainment Inc.), Miss Walker sang alternately the roles of Carlotta/Madame Firmin in the Canadian National Tour of THE PHANTOM OF THE OPERA. Catching the critic Michael Eisenstadt’s eye (Vancouver), he wrote an article about her wherein he states: "…when you see the way her Carlotta has developed through the run, you realize she will indeed eventually carve herself a niche in Musical Theatre. She does her own Carlotta and she does it amazingly well." Her other Musical Theatre credits include: Marsinah in Kismet; Eliza Doolittle in My Fair Lady, and Cunegonde in Candide. She sang and danced as Ninette in L’amour Des Trois Oranges and as Ariel in the premiere of Lee Hoiby’s The Tempest. Operetta Roles include Adele in Die Fledermaus (New York City) and Kathie in The Student Prince (Baltimore). The National Endowment of the Arts co-funded an unusual short film entitled "Look at Me". The project was created especially for her, and she plays the leading role. She had appeared as a young opera star on the soap opera "Another World", and has done various television appearances ranging from documentaries to commercials. Miss Walker performed a trio concert – "Broadway Classics" at Carnegie Hall with Cris Groenendaal and Timothy Nolen. Having gained recognition as a "cross-over" artist, her show ABroadway Classics in Concerts@ is in continual demand and has been presented for various concert presenters/organizations throughout the United States, in Canada, including Hawaii. In September 1998, she sang as guest Artist with the award winning male choir AVocal Majority@, and performs the music of Orrin Hatch and Janice Kapp Perry . Her voice is featured on the film AThe Ghost of Dickens Past@, with music by Kurt Bestor, which released for Christmas 1998. Miss Walker discography includes: Broadway Classics, with David Glen Hatch, pianist, an inspirational/sacred collection – You=ll Never Walk Alone, with the Mormon Symphony and Youth Chorus and Classic Lullaby with pianist Kenneth Plain. A new CD, Timeless Classics featuring the most popular songs of the last century is scheduled for release later in 2008. Miss Walker is much in demand as a voice teacher and has conducted vocal Masterclasses at Universities, with NATS and other organizations throughout the United States. She has also performs AThe Singer and the Song@ under the direction of ARTS, Inc, for young audiences. In January 2000, Utah Governor Michael Leavitt presented Diana Walker with The Utah Governor’s Mansion Artist Award. Diana’s ABroadway Classics in Concert@ and “Top Flight –Soul Soaring Songs” have been on the Utah Arts Council Performing Arts Tour for most seasons since 2001, and have been performed in St George, Cedar City, Monticello, Blanding, Salt Lake City, etc. Miss Walker has appeared in opera, musical theatre or in concert on five continents. Known for her breath control and capacity, the ease and beauty of tone, her agility and finesse, and the clarity of her diction, she is a teacher of teachers and of colleagues, helping others refine their singing technique in order to again bring joy to their singing. Diana, the adoring mother of one son and five step-children, is also an advanced stage breast cancer survivor. Losing her mother to cancer while fighting the disease herself, she now turns her talents to the task of helping others in their fight against cancer, bringing hope in direct and meaningful ways. Aimee is a artist focused on oil painting. She lives with her husband in South Jordan. She enjoys her lovely Grandchildren, gardening, reading. Author, Artist, Tamie “Anne” Warner has taught doll design classes early on in the 80’s and 90’s and went on to design dolls for publications nationwide. Her easy to follow craft classes are available through her website or twitter gonewestofutah. She is the author of five published fiction novels, available through her website. Contemporary Artist, I work in all mediums but prefer acrylics on canvas-textured. Artprints Designer. Kevin Wasden is a figurative artist exhibiting at Gallery 25 in Ogden. Studied privately with Mrs. Evelyn Harris (retired), professor over Vocal Pedagogy at Weber State University 1990-1996 EXPERIENCE: University of Utah Concert Choir, 1982 Weber State Singers, under the direction of Mrs. Evelyn Harris, 1990 to 1994 Weber State Concert Choir, under the direction of Dr. Mark Henderson, 1990 to 1995 Himmelskong, Sei Willkommen, by J. S. Bach, Soloist Quartet, 1990., Vesperae Solennes De Confessore, Magnificat Anima Mea, Soloist Quartet, 1991. By W. A. Mozart Ogden City Community Choir, under the direction of Mrs. Evelyn Harris, 1990 to 1998. Bass/Baritone soloist for W. A. Mozart, The Coronation Mass. 03/24/1991, Felix Mendelssohn’s, Elijah, Baritone Soloist, 04/11/1992 and 1998. Felix Mendelssohn’s, St. Paul Oratorio, Bass Soloist, 04/24/1993. George F. Handel’s, Messiah, Bass Soloist, 12/13/1992 and 12/22/1996. Joseph Hydn’s, Bass Soloist, The Creation, 04/05/1990. Weber State Chamber Choir, under the direction of Dr. Mark Henderson, 1994 to 1995 Dr. Mark Henderson Chamber Singers, 1997 to 2001 Utah Opera Chorus, 1992 to 1993 W. A. Mozart’s, The Magic Flute and Giuseppe Verde’s, MacBeth. Invited to observe the Young Artist Program. 1996 Governor’s Awards in Humanities, 10/11/1996, performed duet with tenor Dane Graham The Orchestra of Southern Utah and the Southern Utah Chorale, Bass Soloist for the 62nd George F. Handel’s Messiah, 2002 Heritage Singers, under the direction of Dale Sessions, member and soloist, Cedar City, Utah, 2005 to 2007. Tooele County Choral Society, Choir member and Bass soloist, 12/16/2012, George F. Handel’s Messiah Pioneer Valley Chamber Ensemble, under the direction of Pamela Dale, member and soloist, 2012 to 2013. W. A. Mozart’s Requiem, Bass Quartet and Soloist, Assembly Hall, 06/29/2013. Lieto Voices, under the direction of Norman Lister. 01/05/2014 to 07/01/2014. W. A. Mozart’s Requiem, Bass Quartet Soloist, 02/22/2014, with the Dixie State University Symphony Orchestra. Southwest Symphony Orchestra, Bass Soloist for George F. Handel’s Messiah 2014, 2015 and 2016 St. George, UT. AWARDS: Utah State Solo and Ensemble, 1982 Superior Rating. Metropolitan Opera District Finalist, 01/30/1993, Northern Utah National Association of Teachers of Singing, Novice Division, First Place, 1991 and 04/22/1992, Igor Gorin Scholarship Winner, 1991 and 1992, President, Weber State Singers 1991-1992, Concerto Night Winner, Weber State University, 04/18/1993 and 04/21/1996. Jeane Weigel is a working studio artist, a painter. She is represented by Juniper Sky Fine Art Gallery at Coyote Gulch Art Village in Ivins (Kayenta), Utah. Her work is owned by over 30 private collectors in Washington, Oregon, Utah, Arizona, Pennsylvania, California and Canada, and has been accepted in the St. George Art Museum’s annual invitational, The Regional, for three consecutive years. She received Best of Acrylic in 2003. Jeane is passionate about art and believes that a primary reason for her being here is to encourage people to pursue their art and to stick with it; to inspire those who have lost their art to reclaim it; and to help people who have only dreamed of making art take those first steps into their creativity. To this end, she founded Blue Raven Art Studio. Blue Raven Studio fosters support for the arts and the individual artist, by creating a comfortable enviroment for all who choose to participate in the varied classes offered there. Jeane teaches three classes per week at Blue Raven, but wishes to expand her reach into other communities as well. Jeane believes, firmly, that there is no one way to approach art–there is no wrong way, no right way–only each individual’s way. Her particular teaching gift is her ability to help people open to their own art, guiding them on a journey of artistic self-discovery. She believes this is possible because of her own personal experience. “I face a canvas everyday. Because I know the courage that takes, because I face the fear, because I embrace the humility it requires to make art, I can ask my students to take that same leap of faith.” Although her primary medium is acrylic, she also teaches students to work in mised media including oils and oil sticks and is now working in encaustuc as part of herHazel by Jeane Weigel painting process. She works well with people who have never held a paint brush, as well as experienced painters, and everyone in between. In addition to teaching painting, Jeane also guides an Artist’s Way class based on the book by Julia Cameron. “The Artist’s Way” investigates our need for creativity and our inherent fears about being creative. It was this book which brought Jeane back to painting after twenty-six years. Not only was it life-transforming for her, she has seen it transform other lives in her classes over the years. Jeane is open to discussing any inspiration or need a school, community, individual or organization has in mind. She would be Jeane with studentdelighted to kick around ideas with anyone who has an interest. Who knows what could be born from that kind of collaboration? Jeane is available for four-day weekends. She would enjoy short-term and extended projects, with ages 17 and up. And she would love to work directly with teachers and/or other artists. All student materials are to be provided by the contracting program. Mary Wells is a book artist and calligrapher who demonstrates, teaches and exhibits her letterforms and books. She is a retired school teacher having taught in elementary and secondary schools for 39 years. A residency with Mary focuses on bookmaking. She provides the instruction for decorating and assembling books that would be suitable for K-12 students. Book projects could include accordion books, pop-up books, books that require stitching, round, triangular or odd shaped books, books in boxes, 3-D sculptural books, books with pockets, origami folded books, unusual bindings, watercolor techniques, historical and oriental calligraphy, visual journaling, covers and closures. Other book projects could be wearable utilizing beads, buttons and ribbons. The book instruction can integrate other curriculum disciplines or be created for its own sake as an object of art. Mary’s process is to design a project with the team of teachers with whom she’ll be working. They then consider both visual art as well as other subject areas such as something the class may be studying in history. She works on writing as well as illustrating short stories, poems or journals. Shaunda Kennedy Wenger is the author of eight books. Her first book, The Book Lover’s Cookbook, Celebrated Works of Literature and the Passages That Feature Them (Ballantine Books) was featured as a National Public Radio holiday gift pick in 2003. Five of her titles are published for the educational market by Benchmark Education Company and Richard C. Owen Publishers, and include Caterpillar Can’t Wait, Watch a Butterfly Grow, How Many Muffins, Farm Stand Mystery, and In Black Bear Country. In 2010, she released two books through her own Essemkay Company Productions. The Ghost in Me is a paranormal fiction novel for middle-grade teens and has received praise from author Rick Walton as “a fun, exciting read.” Her second book, Little Red Riding Hood, Into the Forest Again, won the 2011 KART Kids Book List award for young readers. Some of Mrs. Wenger’s most rewarding experiences have come from teaching students and inspiring others to enjoy exploring the art of creative writing. She hopes to continue to find opportunities to do so. In March of 2012, she was the featured author at the 21st Annual Young Writers and Artists Festival at USU, where her presentation focused on what makes a book become a “favorite,” how to connect with one’s inner voice, and how to bring that unique voice into one’s writing. Tricia Parker, one of the organizers for the festival said, “Shaunda was absolutely fabulous. She knows how to catch the audience’s attention and keep it. Shaunda shared her own personal experiences as an author in a movie format complete with pictures and audio. From beginning to end, students were engaged in learning. Many left the presentation motivated to try new ideas out for themselves.” Students at the presentation also sang her praises. Emily L., an 8th grader from South Cache said, “She was the best I’ve seen so far at giving writing advice.” Adrie J., another 8th grader said, “Her presentation was awesome, and I loved the quotes she had. The tips she gave were very inspirational and helpful.” In 2012, Mrs. Wenger will be publishing three new titles. Reality Bites, Tales of a Half-Vampire will be released June 1, followed by a historical railroad cookbook in August, and another chapter book for young readers about three adventurous pigs in October. Her stories, articles, and poems have appeared in numerous venues, including Babybug and Cricket magazines, and her essays have been featured on Utah Public Radio. She has a variety of programs and presentations available to suit the needs of nearly any school or venue, for both children and adults. She looks forward to talking with those who would like more information. Carmen White is a Mexican visual artist originally from Chihuahua City. Her paintings represent the Latin American culture through the use of folkloric symbols. Her paintings are characterized by colorful and textural surfaces. I would love to be able to participate, volunteer, and/or teach the Arts. I have been teaching at a local Jr. High charter school for the past 2 years, where I taught Art Humanities (visual arts, dance, music, beginning theatre), English and Performance Theatre. I have two BA degrees, one in Film from the Univeristy of Utah and the other in Theatre and English Education from Weber State University. I also teach piano, violin and voice lessons and have done so for 15 years. I have played the piano for 27 years and violin for 20 years, have studied with various music professors at BYU-Idaho, and played with the BYU-Idaho and University of Utah Symphonies. I feel that I have a lot of knowledge and education to offer and would love to be of help in some way! Leslie Whited, an Irish American woman, performs vocals and percussion as a performer with Royal Heritage Music: Latino/a music. Royal Heritage Music most often performs with Heart and Soul Foundation. As a visual artist, Leslie enjoys teaching at-risk youth: clay sculpture; watercolor and sketch mediums. Recently, she worked through Art Access with the Road Home youth in a six month project culminating in art students displaying their work as part of SLC Gallery Stroll. Leslie’s clay sculpture has been featured as part of Gustavus Adolphus College Art show with a four part series "Healing," and a ceremonial incense bowl given for Lakota tribal use. She recently created three visual art pieces for the upcoming Royal Heritage Music cd titled: "Call of the Phoenix: Mosaic." Her pen and ink and pencil sketches have been featured at Antara’s Studio (4392 South 900 East SLC) and in worship bulletins. As a writer, Leslie Whited has self-published "Wisdom’s Footsteps: Accompaniment in Native American Context" (Cree and Chippewa tribal context). She is currently writing a day by day book for loved ones accompanying a loved one through stages of dementia titled: "Amber Memories." Leslie enjoys reading portions of her books at the Summertime People’s Market. Leader of Lark & Spur. 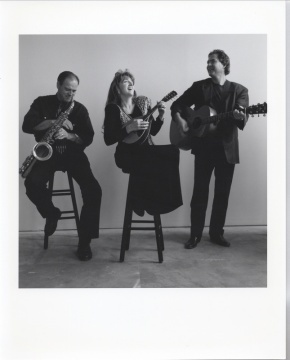 As the name suggests, Lark & Spur began as a duo when Jeff Whiteley and Lori Decker first performed together in the streets of Paris and Munich, acoustic guitar, mandolin and traffic stopping vocals. Those first performances were recorded and led to appearances on French radio and television. Lark & Spur has added players over the years and now performs as a quintet, including nylon and steel string guitars, mandolin, woodwinds and Lori Decker’s trade mark vocals. The group has performed at the Deauville, Brienz, and Montreux Jazz Festivals in Europe and for numerous public and private events in Utah, including events for the Utah Symphony. The group has recorded 5 CDs, and their videos have received over 1.8 million hits on youtube.com. Artist specializing in children’s murals and community mural projects. I am mother, children’s book author, storyteller, motivator, event organizer, lover of nature and animals, and an ex-financial aid counselor. After a 17-year hiatus at Utah State University, I am able to return to my life’s passion and work, which is writing for children. While earning a Bachelor’s degree in Philosophy and a Master’s in Folklore, with specialization in storytelling, I have continued to promote diversity, communication and literacy in Cache Valley. I strongly believe in the power and importance of sharing stories within our families and our communities. Seeking and finding value in every human being I meet, I understands that each individual has a special story to tell, and I want to help you tell it! 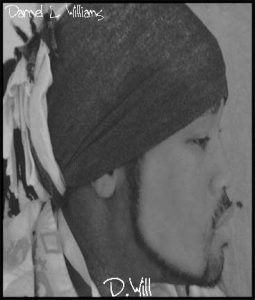 Currently I am focused on publishing my many stories, please sign up for updates or visit story-express.com for more information. Almost everyone dreams of being a rock star at least once…..Drew Williams pushed past the dream and did the unexpected. He became a rocker who played piano, organ, guitar, and about any other instrument anyone threw at him. In 2002, Drew’s talent captured the attention of country artist J. Marc Bailey. Marc immediately signed Drew to play keyboards. Over the next few years as a member of Marc’s road band, Drew opened for artists such as Toby Keith, Diamond Rio, Miranda Lambert, Phil Vassar, Sawyer Brown, Gary Allan, Little Texas, Deana Carter, Restless Heart, Blackhawk, Ryan Shupe and the Rubber Band, .38 Special, and Highway 101. Drew was also the keyboard artist on Marc’s national hit recording “Just to Hang Around.” This exposure to country music turned the rock dreamer into a real-time country artist determined to become a headliner. Drew Williams’ edgy rhythms and lyrics are simple with musical depth. His songs attract both rock and country fans alike! Drew’s debut album, Drive, is slated for release in the spring of 2008. Cuts such as the gritty "Hear Them Scream" compel you to be a pant leg drummer, while the mournful "Back to You" touches the empty spaces in your heart. Click here for D.Will’s Artist Statement. Born in Saginaw MI, and raised in Flint MI until college. I graduated from Alma College in 2002 with a degree in art and design, focusing on painting and related media. I continued my education with a Master in Business and Administrative, graduating in 2010, focusing on Marketing and Entrepreneurship. I began to free hand, mostly cartoon and still life. I became a painter shortly after, creating landscapes and indoor scenery. I started connecting the rhythm of different genres of music, which becomes the form within my art. The focus was to collaborate the influences of music with color and motion. I am able to integrate these forms to become the emotion within my work. I try to motivate the audience to see what the music is doing to the form in the hopes that it will do the same to the audience.My work has been displayed in art show, festivals and galleries across the country, published in literature and art journal magazines and featured in the news. With clients from all over the world, my work have made its way into the hearts and minds countless people. 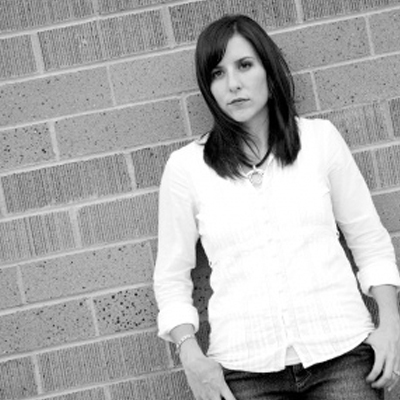 Composer and arranger, Michelle Willis, is a registered Utah Arts Council artist, as well as a member of the Utah Composers Guild. She has received compositional training from Barlow Bradford, Nathan Hofheins, Darwin Wolford, Daniel Gawthrop and Roger W. Ames and has won several compositional awards from the LDS Church Music Submission Contest. Michelle Willis is a graduate of Ricks College (now BYU-Idaho) and Boise State University. 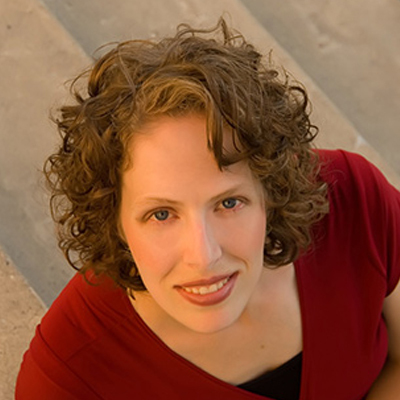 She has applied her Bachelor of Arts degree in Choral Music Education to compose over 60 original works performed by ensembles for audiences in: Boston, Massachusetts; Temple Square-Salt Lake City, Utah; Ann Morrison Fine Arts Center-Boise, Idaho; Brigham Young University-Provo, Utah; Barrus Concert Hall-BYU-Idaho campus; Las Vegas Convention Center; and Vienna, Austria. In addition to her work as a composer, Mrs. Willis participates in her community as a resident composer for the Utah Symphony/Utah Opera Educational Outreach Division, where she has assisted with music for more than 20 children’s operas. 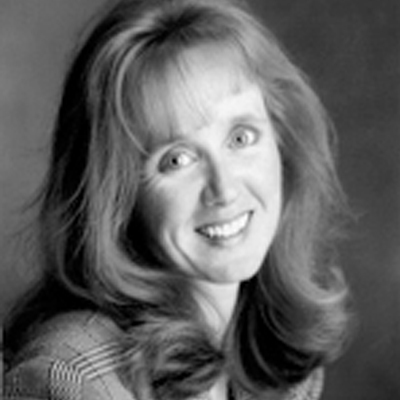 She has served on the Herriman Arts Council since 2005 and has written 4 original stage productions for her community. She has directed several community choirs and orchestras, and finds great joy in conducting. She has served as an adjudicator for music ensembles in the Utah Valley and as an instructor in the Suzuki School of Music at Albertson College of Idaho. She also gives guest lectures on her experiences with composing. To schedule Mrs. Willis for upcoming musical projects, adjudicating or keynotes, contact us at service@tetonmusic.com. Joni D. Urry Wilson 1995 East 6060 South Salt Lake City, UT 84121 (801) 581-7374 joni.wilson@m.cc.utah.edu (Dance) Joni Urry Wilson began dancing at an early age with the Virginia Tanner Creative Dance Program and the Children’s Dance Theatre at the University of Utah. Joni was awarded the ER Hayes scholarship in dance at the University of Utah, where she received her honors BFA and was cited with an Orchesis award for outstanding performance. Joni received her MFA in dance performance and choreography from Mills College in Oakland, CA. She has taught dance to students of all ages and levels and most recently serves as a full-time dance specialist for the Tanner Creative Dance Program and the Children’s Dance Theatre at the University of Utah. Joni began dancing with Virginia Tanner as a child and has continued this unique, whole-child-centered training and philosophical methodology in her teaching. Joni specializes in creative dance for all ages and also enjoys teaching special populations. The philosophical basis that defines her work and artistry creates fun, inventive and purposeful experiences for her students. Joni offers classes for ages K-12, special population students, parent/child classes, teacher workshops, curriculum advisement, assessment and rubric development, and choreographic residencies. She believes that when one has the true interest of children at heart there is a continual search for avenues to inspire, educate and increase their awareness of the world around them and give deeper meaning to their everyday lives. Dance is one of those channels! Available for residencies, teacher training, extended projects, collaborations with other artists, and short-term activities. Tinuviel is an Arabic dance artist. She teaches, choreographs and performs classical Raqs Sharki, Saidi, Baladi, and some folk. She was a pupil of the internationally renown Viktoriya Shershnova. Most recently she is directing/producing Bring Your Gifts, a Christmas devotional featuring dances from around the world, to benefit the YWCA SLC women’s shelter. Tinuviel is available to book for corporate events,family events, reunions, weddings, baby showers, teaching private lessons, one time group lessons/workshops etc. Rosalie Winard has spent the last thirty years enamored with wetland birds. While receiving her bachelor’s degree in Natural History, with a specialization in Ornithology and Ethology from New College of Florida, she conducted a field study on Brown Pelican’s threat and greeting displays. Receiving one of the first-ever Student Originated Study Grants, she worked for the National Science Foundation censusing bird populations in Florida before being led to documentary film, video art, and finally photography. Winard’s award winning photographs have appeared in numerous publications including Artforum, The New York Times, The Los Angeles Times Magazine, Forbes, Le Monde, and on 60 Minutes. Her pictures are in the permanent collections of the Brooklyn Museum of Art and the Library of Congress, and in the private collections of Nelson Mandela, Oliver Sacks, and many others. Watercolor artist and sculptor. My paintings and sculptures have exhibited in galleries and museums throughout the United States and in London at the Buckingham Palace Galleries. I am a strong supporter of the arts and am on the board of Women Artists of the West and American Academy of Equine Art, both internationally recognized art organizations working to promote art and artists. My expertise includes portraiture, equines, the western landscape, and still life paintings often featuring my collection of antiques. Art is my purpose. Art is my passion. It is who I am and what I am. It is my therapy for the stresses of life and I seek to create art that brings that same quietness to the viewer. Balladeer, ballad-maker grew up singing with my folks in Farmington and Chesterfield where an unused back bedroom became our family hootenanny and old ballads brought to the fore and dusted off. My grandmother Nelly [born in Vernal] kept a scrapbook of songs cut out from various newspapers. Dad played uke, Uncle Fred played guitar or mandolin, and Aunt Betty played Magnus Chord Organ, and the rest of us sang along. My mom would borrow the scrapbook and hand copy the ballads into a spiral notebook, and then she and my babysitter Judy would serenade us on weeknights while the wind blew in the rafters, the souls of old ghosts; and so I learned the craft. Classical guitarist performing in Utah and the Western US for over twenty years. Faculty memeber with the SOM, University of Utah. I’m a self-taught illustrator and visual artist, working to create beautiful, eye catching imagery as best I can. Using deep imagination and utilizing the nature around me, I always strive for an ever-improving quality in my art. My goal is to always learn from those around me and constantly improve myself as an artist and as a person. Rick Wray doesn’t consider himself an artist, but rather a media arts educator and community organizer. In 1996, Rick brought an educational vision to fruition when he co-founded Higher Ground Learning (HGL), a creative tutoring/mentoring center focused on creating customized learning models based on students individual learning needs. Realizing the dynamic educational nature of digital multimedia after designing and teaching nearly 25 creative media workshops in digital photography, filmmaking, and animation while at Higher Ground Learning, Rick passed on the reins of HGL in 1999 and co-founded Utah’s only not-for-profit youth media center, Spy Hop Productions. Nearly ten years later, Spy Hop Productions has swelled to 20 full and part-time media mentors and its programming has involved over 7,500 young people ages five to nineteen through innovative audio, video, and web programming. In 2002, Rick collaborated with the Kennedy Center Imagination Celebration of Salt Lake City and founded the LocoMotion International Film Festival, an annual event that celebrates the cinematic visions of teenage filmmakers from across the globe. In 2003, Rick received the Salt Lake City Mayor’s Service to the Arts Award. 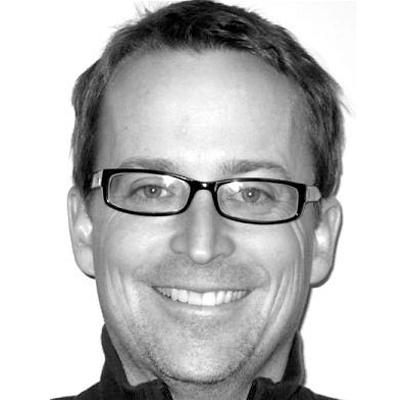 In 2005, taking the “best practices” learned from Spy Hop Productions, he founded the Interactive Digital Education Academy (iDEA), a teacher professional development model dedicated to integrating the filmmaking process into the core curriculum. Rick Wray continues to serve as the Executive Director of Spy Hop Productions. I am well known in Utah as one of the top jazz piano players. I love to teach, record, and perform. Jazz is endlessly interesting, and I love to share my new discoveries with my listeners and students. I was raised and taught jazz in New Hampshire, and I performed and studied at both BYU and the University of Utah. Please go to my website www.ceruleanbluemusic.com to learn more and to listen to samples. Utahn, graduate SUU. Practice in all mediums; enjoy experimenting with new ideas and breaking rules. Current projects include photography, sculpting, 2D mixed, & fiber.